Yep….we welcomed a new baby into our family THIS WEEK! 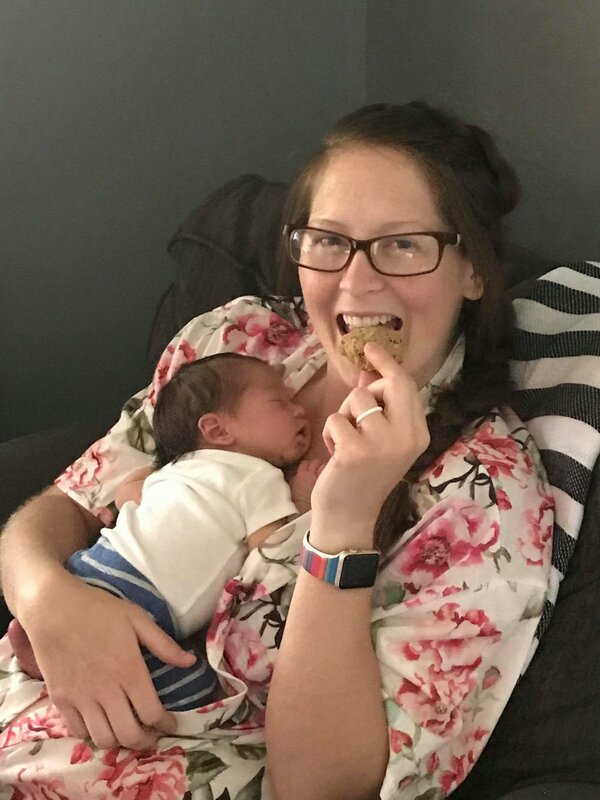 He’s officially 5 days old, and I’ve already made, and devoured some amazing [SUGAR FREE] Lactation Cookies….but don’t worry, my family helped in the devouring part! They are easy to make and delicious! Here’s some of the ingredient benefits! So obviously you can tell while the whole family could benefit from these delicious and nutritious cookies, plus gives me as a nursing mama a great excuse to EAT ALL THE COOKIES right now too! *the last couple of ingredients can be intermingled or done without. Just add any of the extras you want to create texture, flavor, and more nutrients! If you make these, be sure to share a photo and tag me @BrittanySuell and let me know what you think! Brittany and my new family of 5! Older Post6 Tips to a NEW YOU in 2019!